Today in London, Huawei has launched the latest devices in its P-series line. The P9 and P9 Plus take cues from the previous P8 but also some hardware moves over from the Mate 8 in the form of the SoC base design. The two models come in various memory and storage variants to the EU and Asia, though some colors and high-end storage configurations will be Asia only. The new P9 and P9 Plus are aluminium unibody designs, with the two main features being the new Kirin 955 SoC and the Dual Camera design on the rear with Leica certification. 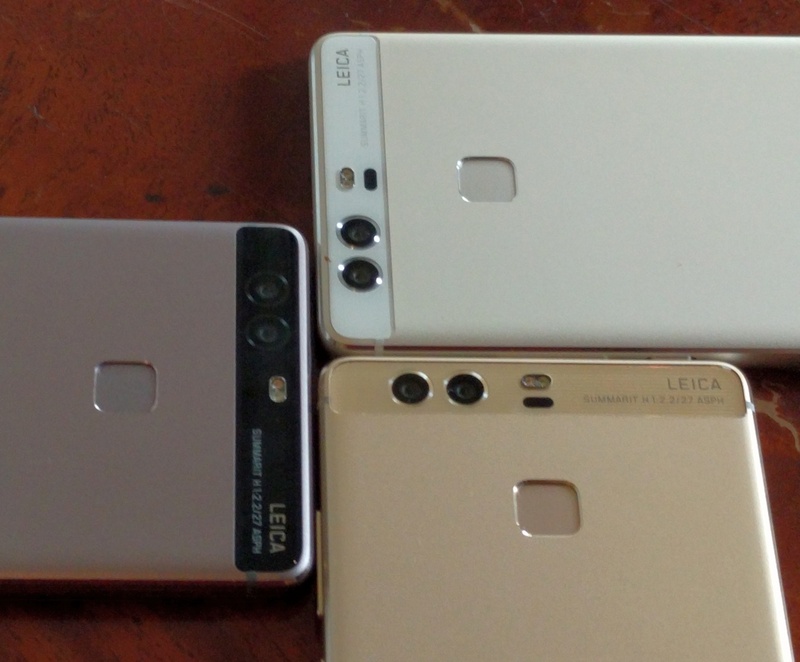 The way Huawei is using the dual camera design is different to previous dual camera smartphones from other companies – one is a color camera and the other is a black and white camera. This allows several advances over a standard one camera design. F/2.2 aperture, x mm eq. Firstly, having black-and-white data means that the grey contrast of an image can be optimized depending on the shot itself. The B/W camera also has fewer color filters in the lens design, allowing for 2x light into the sensor over the color camera, giving an equivalent light data of 3x a single camera design. Thirdly, with two cameras and a separation, based on the contrast data Huawei can use an ISP to attempt triangulation of distance. This allows the integrated software to implement a simulated focal length of F/0.95 to F/16, giving bokeh type effects. This is not a true bokeh, but in the three minutes I played around with the device it did give a similar effect. Both cameras are 12MP, running 1.25 micron pixels and a base F/2.2 aperture. 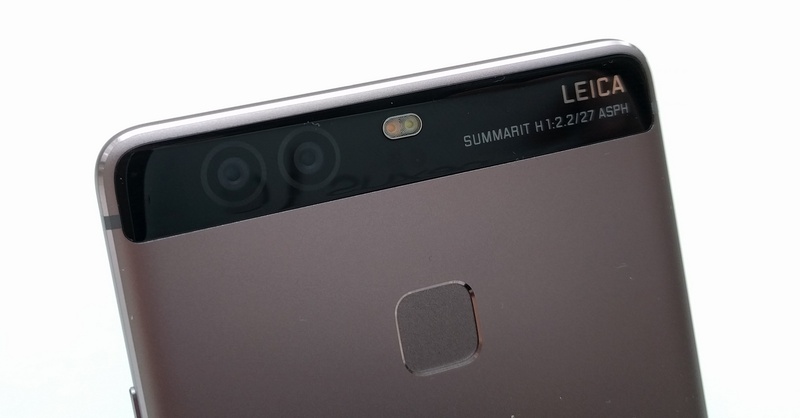 There is a laser autofocus on the P9, but no OIS. The cameras are Leica certified. The partnership with Leica was announced earlier in the year, but this means that the sensors and lenses pass Leica’s internal tests for color accuracy and reproduction. At this time we were unable to find out who exactly makes each of the sensors, although when we get the device in house (hopefully after the press event today) we can find out. Leica’s partnership also extends to the software, allowing the new camera features to be used. Both the P9 and P9 Plus have the same camera arrangement and underlying Kirin 955 SoC. This is an upgrade over the Kirin 950 we saw in the Huawei Mate 8, with increased clock speeds (+200MHz on the A72 cores to reach 2.5GHz) and upgraded ISP/DSPs in silicon. HiSilicon states that power efficiency has seen an improvement over the Kirin 950, which should result in outstanding battery life for the P9. The difference between the P9 and P9 Plus will be in several areas. Both devices are 1920x1080 (FHD) resolution, with the P9 at 5.2-inch and the P9 Plus at 5.5-inch. The P9 Plus will use a Super AMOLED display, with the P9 being a standard IPS but with 69% DCI-P3 gamut. The DRAM/storage configurations will be different as well. The P9 will be available in 3GB/32GB and 3GB/64GB variants (LPDDR3, eMMC), with a 4GB/128GB variant coming to Asia in the future (LPDDR4). The P9 Plus by contrast will have a base 4GB/64GB model, again with a 128GB model for Asia. The P9 Plus in all variants will feature Huawei’s Force Touch technology, as seen on the Mate S 128GB version, however we are told that the utility of the feature will have increased beyond picture zoom and weighing fruit. Also, the EU will have the Mystic Silver and Titanium Grey colors only, while Asia also gets the Rose Gold and Haze Gold variants. Both the P9 and P9 Plus will use USB Type-C, with Asian versions supporting Dual SIM functionality. The P9 battery runs at 3000 mAh compared to the P9 Plus at 3400 mAh, with both devices listed as 1.5-day battery run time. Both devices feature the same fingerprint sensor from the Mate 8, with the P9 Plus having an IR blaster as well. Both devices (in our quick hands on) ran Huawei’s customized EMUI 4.1 interface, which is reminiscent of iOS. Both devices also support knuckle interactions, similar to the Mate S.
Pricing for the 3GB/32GB and 4GB/64GB models of the P9 comes in at 599€ and 649€, while the P9 Plus in its 4GB/64GB variant comes at 749€. The P9 should hit the shelves in April, with the P9 Plus in May. 128GB variants for Asia will be slightly later than the smaller storage implementations. The dual camera system sounds really interesting, seeing that the monochrome sensor is more sensitive than the regular bayer one. Excluding pricing, the Plus looked interesting but then they went AMOLED and ruined it. Yeah, I never really got the hate over Pentile, even back in the day. Sure the screen was a little cooler, but even my old Galaxy phones (I think the only one I had that WASN'T Pentile was the SII\Epic 4G Touch) didn't have any standout issues with the screens in games, movies or browsing the web. But I will say the screen on the iPhone 4S that replaced my Galaxy SIII appeared clearer, but being over an inch smaller with the same pixel density, of course it was. That had nothing to do with Pentile technology though. Noticeable on my brother's Galaxy Note 3 (5.7" 1080p Pentile OLED), though less so than on my Galaxy Nexus (4.7" 720p Pentile OLED).